This package is designed for businesses needing simple and reliable backups of their critical data. We provide you with an external hard drive which is connected to your computer to store the data. We install customized software to backup your data between three and five times a week to the external drive. 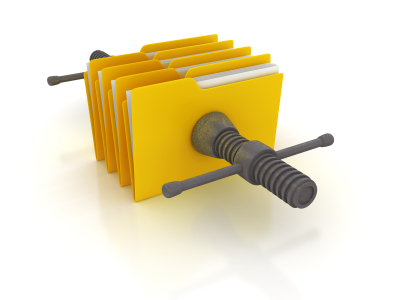 Detailed logs are kept during the backup process that provide valuable information about the status, problems, and successes of your backups. These logs are then sent to our technicians for evaluation each day that the backup is run. This action is performed nightly and automatically so you don’t need to worry about whether or not someone is running the backups or whether the backups are working properly. Since the external drive is portable, it is even possible for you to take the data with you for offsite storage. · One USB external 2 TB hard drive. · Client-side software which performs the backup and emails the results. · Installation and setup of the software. · Scheduled daily backups of your data. · Daily monitoring of your backup logs by our technicians for one year. · Always-on internet connection with 128K or better upstream capability. Wireless, Cable, and DSL (U-verse) qualify. · Apple, Linux or Microsoft Windows 2000/2003/2008/2012 Server or a Windows workstation with a free USB 2.0 or 3.0 port. · Important data that needs to be protected and backed up. *Monitoring service paid by the year receives a 10% discount.